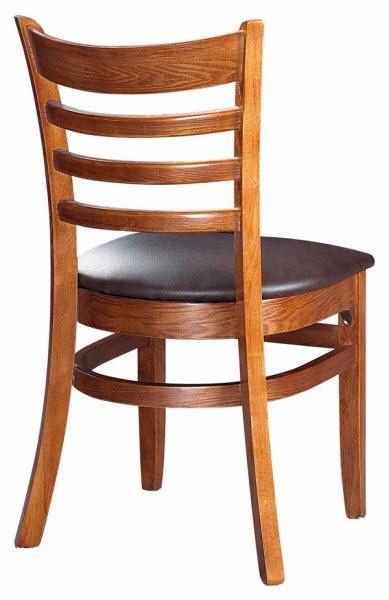 The Ladder Back wood chair is available in a variety of finishes and seat options and is perfect for heavy commercial use in restaurants, bars, hotels and other dining venues. 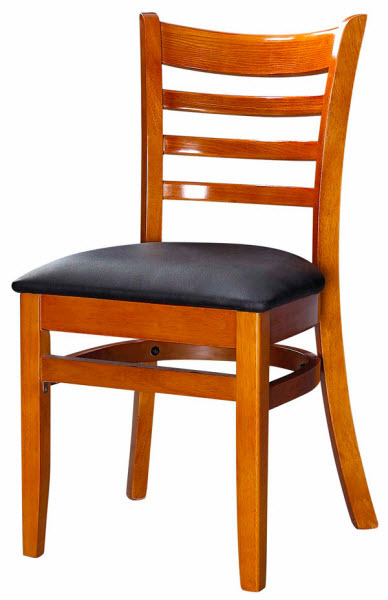 You can choose between a 1" thick solid saddle seat or an upholstered seat with vinyl or fabric. 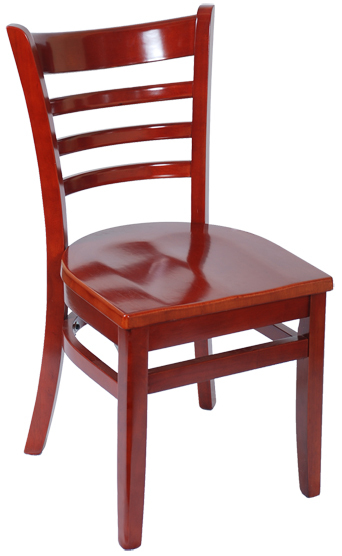 Restaurant Furniture Canada has superior quality restaurant chairs. Our wood chairs are made especially for commercial use and constructed to withstand the rigorous demands of the restaurant industry and to eliminate wobbling. 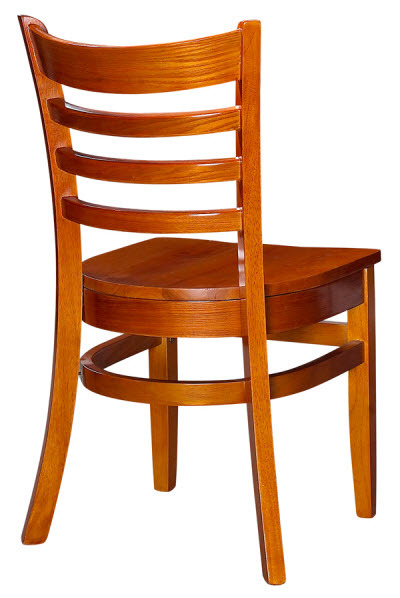 The Ladder Back restaurant chair is constructed using a mortise and tenon construction and has corner blocks to reinforce the legs of the chair. Heavy L brackets are used to reinforce the structural stability. 17" W x 32" H x 20" D ; Seat Height: 18"